Finally, I can share you bits and pieces and behind-the-scenes photos from my last trip to Milan, together with #BOTTEGAVERDE! P.S. There's a more detailed product post coming later this week! Because I know you've already requested that. It was a dream come true! 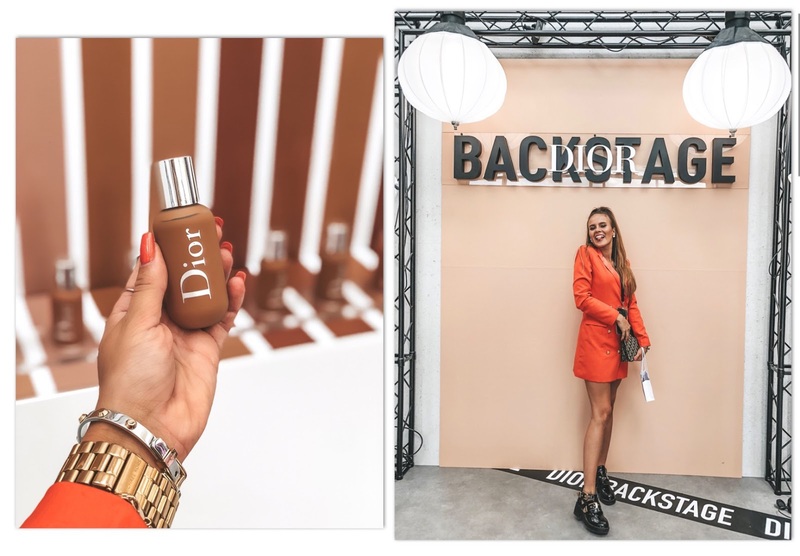 Spending 3 days together with this amazing beauty brand in my second home, MILAN! 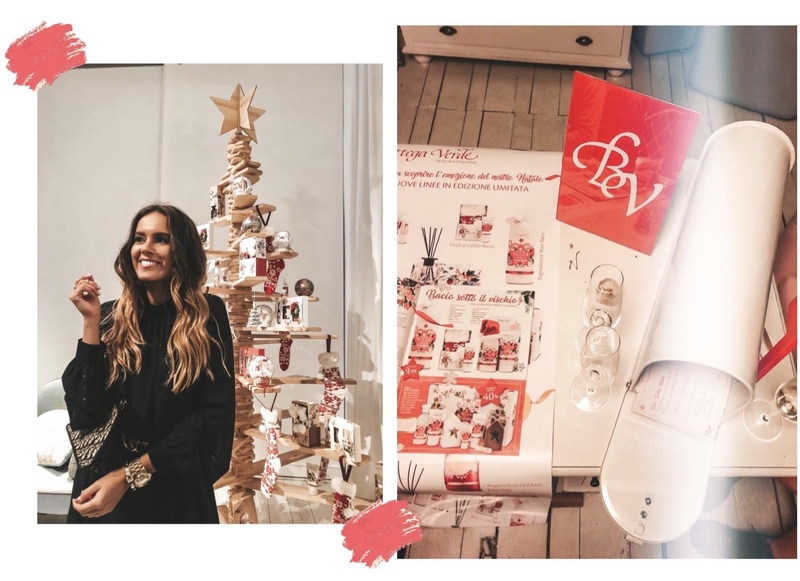 We flew there to see their new Christmas collection, and guess what, it was AMAZING. All the decorations and products, the live musicians and Santa Claus houses made the venue look like a winter wonderland. Wish I could've taken you together with me there. One day it's going to happen, I promise! 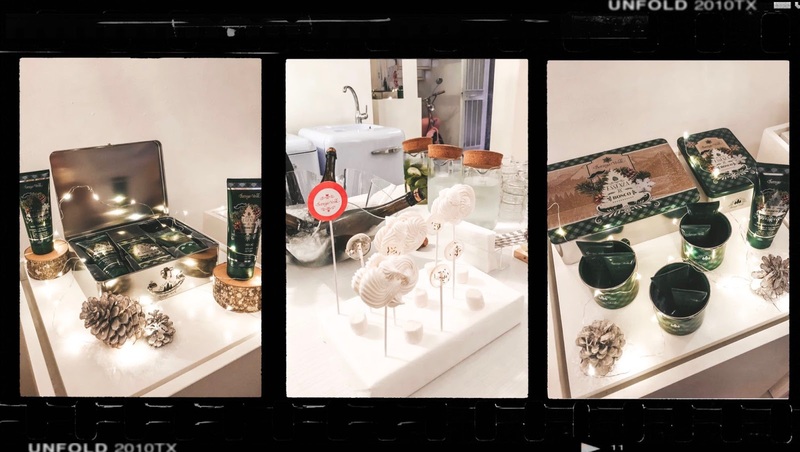 Now more about the Bottega Verde event. It took place in Corso Garibaldi, which is one of the nicest street in Milan (Moscova area). And there were so many familiar & well-known bloggers that I follow daily... which ended up me forgetting to breathe for a while. To see them in real life was exactly what I needed to find my own sparkle again. You can check some of them out right now: @sonia__lorenzini, @martinaluchena, @soleil_stasi, @giolucini & so many more! To be honest, I've taken a lot of time for myself lately with all the social media & posting & only now I'm slowly getting back to you. Love your support and messages the most! Thank you, thank you, thank you. And even writing this post right now makes me work even harder. I guess we are our own biggest motivators, aren't we? Now enjoy this looong gallery and leave a comment down below, what would you like to know more about this brand? Or my trip? Or what would you like me to write about in my next post? I love to talk to you guys! Our day started early, we got to the airport in the morning and had a straight flight to Milan from Tallinn. On our arrival, our own driver picked us up and took us to the hotel, which was right in the centre or Milan. Rooms were nice and pretty. Right when we got upstairs, we found goodie bags on our beds, which had Bottega Verde's latest collection best sellers inside! To be more precise, the Argan Oil collection which is one of my fav! (Yup, I was screaming at first haha). Then we had the whole day for ourselves to go shopping, meet up with friends, go eating and just sightseeing again. I missed Milan so so much!! And it made my cry to see all of my friends too. The next day we had breakfast & just after that our driver picked us up, to go & see the newest Bottega Verde boutique shop in the biggest and newest mall in Italy. (It's like a 30 min drive away from the centre by car). That was really fun, we had a photoshoot there & we learned all about the manufacturing process & their latest products. That's how I finally fell in love with the brand too. That evening we also had the big Christmas collection launch. I almost had to pinch myself after every two minutes to really believe I was there. It lasted until midnight, then we got back to the hotel, changed our clothes and went out to the city for a couple of drinks with the team. Loved every second of it. P.S. The Christmas collection has a large variety of beauty products, even packages with lights, warm socks, tree decorations and so much more. Check these out from HERE. Muahhh, have the best day ever! I'll talk to you soon! P.S. I think it's genius to have alllll the products hanging down from your Christmas tree as decorations this year! So make sure you'll go and check out Bottega Verdes's nearest store (for my lovely Estonian readers, it's in Ülemiste Keskus & also in Rocca Al Mare) or check out their NEW e-shop from HERE. Do the most awesome gifts this year & share your ideas with me on Instagram! I love it! Amazing Pictures!